You’ve had your eye on a magnificent beachfront property for years and now it’s for sale! You’re ready to get the checkbook and move on in, right? But what do you do with the luxury home you currently own? Owning high-end property in Florida is still part of the American dream for a select group of buyers. Still not sure it’s the best time to sell? 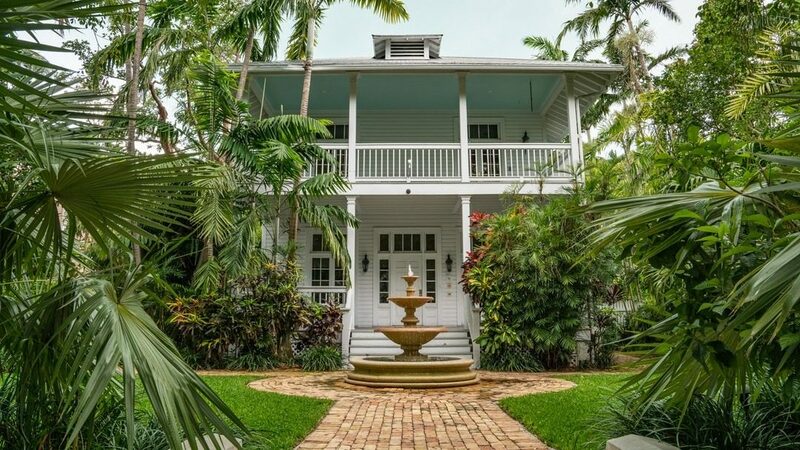 We’d like to share 8 smart reasons why buyers should invest in the luxury property market in Florida in 2019. Take a look and see if you’re not convinced to list your home. The sooner you do, the sooner you can feel the sand between your toes! It’s either real estate or gold. Gold glitters but real estate performs, so take your pick. Smart investors understand properties increase in value but they’re also considered performing assets. Performing assets serve a purpose other than providing a return on an investment. Owners can either live in the home or rent it out while it gains value. Purchasing luxury real estate in Florida almost guarantees an increase in resale value. The key is finding the perfect property and knowing when to sell. A qualified realtor knows how to help buyers find the smartest investments. That same realtor understands how to market your home to savvy buyers. Okay, so it might not be scorching hot but the temperature is rising. Recent numbers for existing home sales are up slightly from sales in 2017. Experts expect to see the most profitable year ever for the Florida real estate market. Why? Sales are up and so are home prices. Qualifications for buyers are stricter. Inventory is down but not by much. Add in the strong national housing market and Florida is set to enjoy a profitable market well into 2019. There are no earthquakes in Florida. The ground doesn’t shake and the economy is stable. A robust economy is encouraging for buyers who dream of owning luxury real estate in Florida. It may be an ideal time for sellers to spruce up their homes and prepare for showings. Florida has also enjoyed job growth at a higher rate than the rest of nation. Job growth often inspires buyers to move from other parts of the country. The outlook is excellent for sellers, especially those who need a quick sale. Job openings in the science and education fields attract high-quality buyers. Florida is still a top tourist destination and enjoys consistent job growth in the service sector. There’s no shortage of buyers who’ll fall in love with your home. Why not let your realtor help get your home on the market now? Homesteading and living off the grid may be a thing somewhere in Florida but we’re not talking reality TV here. Homestead in Florida relates to one of the state’s many amazing tax benefits. The homestead exemption is one of Florida’s most attractive tax benefits and gives qualifying homeowners an exemption on the first $25,000 of their home’s assessed value. If that isn’t enough to encourage buyers to invest in the high-end real estate market in Florida, keep reading. Florida is an income tax-free state. Florida doesn’t collect a death tax. You’ve arrived and want the world to know how hard you’ve worked. Nothing wrong with that! But you also know it’s not only about status. Buyers looking for luxury real estate in Florida know that too. Smart buyers want what you have – swimming pools, gyms, landscaped gardens, and top-of-the-line security systems. They want technology that opens and closes the shades and turns on the solar generator. In short, buyers want the same ultra-modern lifestyle you enjoy. Owning an upscale home equals comfort, class, and security. Buyers know they’re not only purchasing a home. They’re buying into the luxury lifestyle enjoyed by other upscale homeowners. If you’re ready to sell but not sure what you’re home is worth, get a get a home evaluation today. Luxury real estate investment for business makes sense to the savvy buyer. Luxury properties tend to give a higher return on investment than the stock market. No one is saying not to invest in stocks but luxury reals estate values, at least in the U.S. will continue to increase. Real estate is one investment that will never drop to a zero value. The same can’t be said about stocks or precious metals. Smart buyers look for high-end properties like yours not only because they want a luxury lifestyle. These buyers are securing their futures. Your bling could be your buyer’s windfall and your positive return on your own investment. It has nothing to do with old money. The strong economy pushes buyers out of their comfort zones and into luxury homes. Buying a luxury home means living in an over-sized home with a swimming pool right? Not exactly. Builders usually locate luxury properties close to high-end amenities. Golf courses, beaches, restaurants, and shopping malls are all built near luxury communities. People who buy in upscale neighborhoods also want to be close to the best hospitals and doctors. Sellers – you’re selling your home and your lifestyle! Smart investors don’t mind paying a little more for a luxury home, especially if it’s a second home. Millennials have a reputation for financial savvy and are major investors in the high-end market. Did your head whip around? It’s true. It’s not only the Baby Boomers who buy second, and even third homes as investment properties. Being a landlord in the luxury home market earns the buyer extra income and a deluxe vacation spot. Are You Ready to Share Your Luxury Real Estate in Florida? Don’t miss out on a lucrative market for both sellers and buyers. Buyers can’t go wrong when they buy a home in Florida’s growing economy. If you own a high-end property in Florida and think you might be ready to sell, contact us today! It’s an exciting time for luxury living in Florida! Price Reductions from Longboat Key to Englewood! Thank you for your comments. Each market and neighborhood are so unique, that having a local real estate expert representing you and your best interests when selling, is highly recommended. If I may be of assistance to you or anyone you know in terms of selling property in the Sarasota area market, I am never too busy for your referrals. Thank you!